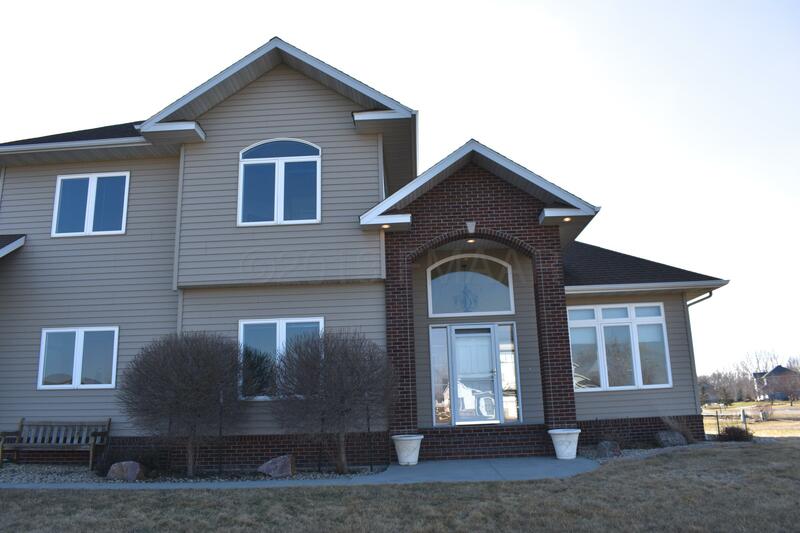 Hard to find, large 2 story situated on 1.1 acre lot within West Fargo. Great curb appeal. Main floor features a beautiful full wall stone fireplace in the vaulted great room with large windows and lots of natural light, Maple cabinets, large kitchen pantry, main floor laundry, half bath off the office that could be used as a bedroom. 3 bedrooms together upstairs, large master suite with bathtub and tile shower in the private master bath. Additional living space in the basement with a family room, bedroom, full bathroom and lots of storage.